If you live near sea level, it's fairly easy to check the thermometer. Bring a pan of water to a full rolling boil. While it's boiling stick the probe into the water keeping the tip away from the sides of the pan. It should register 212ºF/100ºC. Then, fill a 2 cup measuring cup with ice. Add cold water and stir the combination for a minute. Stick the probe into the ice water and stir it around, keeping the probe tip away from the container. It should register 32ºF/0ºC. If you are somewhat above sea level, there are charts you can find online that will tell you the boiling and freezing points of water for your elevation. Ross, do you use a different method? I've always figured that if the food didn't come out as per the desired degree shown, it was time to get a new one.. These two tests are what I have always heard about to test for thermometer accuracy. I can't think of another test that can be done at home. This is what we were taught in culinary school. I currently use something very similar to the thermometer above that the OP posted. 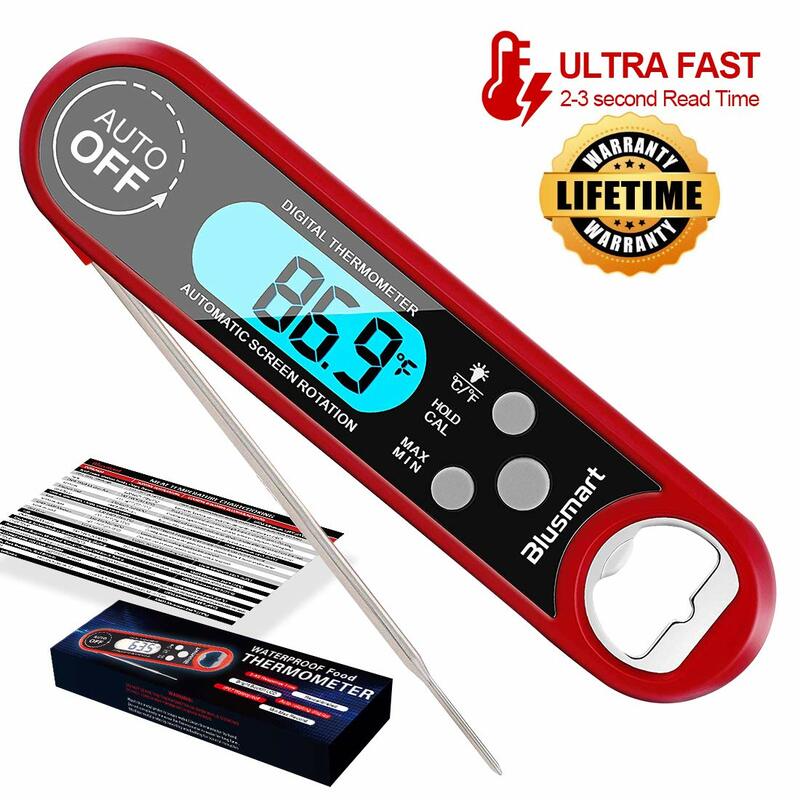 Right out of the box I've always tested my meat thermometers against my body temperature of about 98.6F. How high can it go? Can you measure oil temp? Like deep fry oil. ATK's uses one the same shape and it measures oil and or candy as well. I think? I may want to upgrade.